Compassion in World Farming (SA) – By 2012, battery cages for egg laying hens will be banned throughout Europe, and in the US, hens in California and states that supply to California will get more room to spread their wings by 2015 (see article). When will SA follow suit? Governor Arnold Schwarzenegger signed a historic bill on July 6 that will extend protection to egg-laying hens that live in other states, if the egg producers want to do business in California. 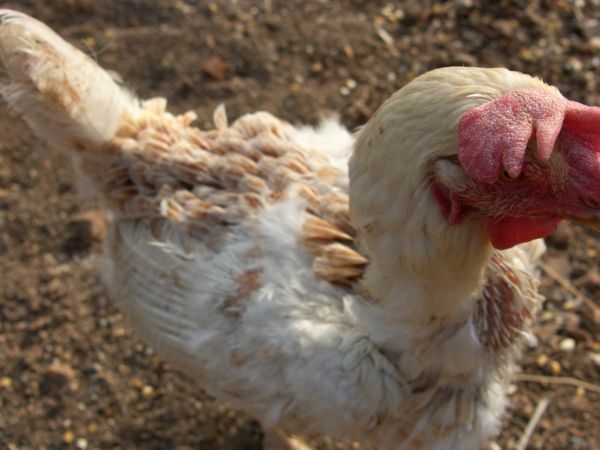 The new humane law will have hens across the country spreading their wings with joy. The bill, AB1437 will require out-of-state egg farmers that want to sell eggs in California grocery stores to adhere to the humane confinement rules created by Proposition 2. That law was passed in 2008 and will be fully implemented by 2015. Proposition 2 ends the use of inhumane battery cages to house chickens. The Humane Society of the United States said this means all hens that contribute to the egg industry in California must be housed in cages that allow them to “stand up, lie down, turn around and fully extend their limbs without touching one another or the sides of an enclosure” – whether or not they live in the state. HSUS was one of the animal welfare organizations that backed the landmark bill which was introduced by Assemblyman Jared Huffman. Egg producers that do not comply with the new law will face up to 180 days in jail or a $1,000 fine. 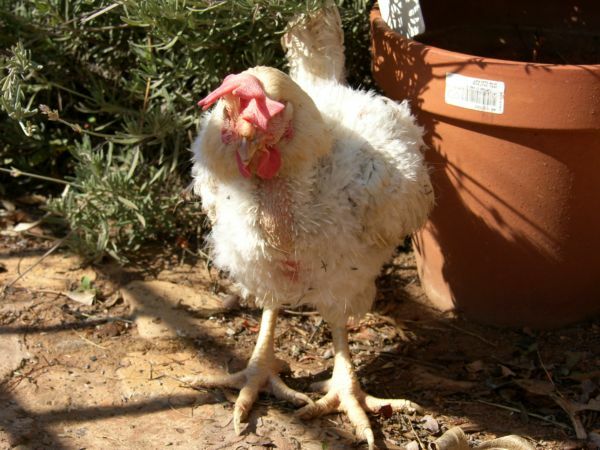 Just two states, California and Michigan, have passed laws to phase out battery cages. Ten years ago, there were no laws in the U.S. protecting farm animals from inhumane housing such as veal crates, gestation crates and battery cages. Now there are eight states that have banned some of these cruel housing systems: Florida, Arizona, Oregon, Colorado, Maine, California, Michigan and Ohio. Both HSUS and Farm Sanctuary are confident there will be more victories coming for animals raised at factory farms. 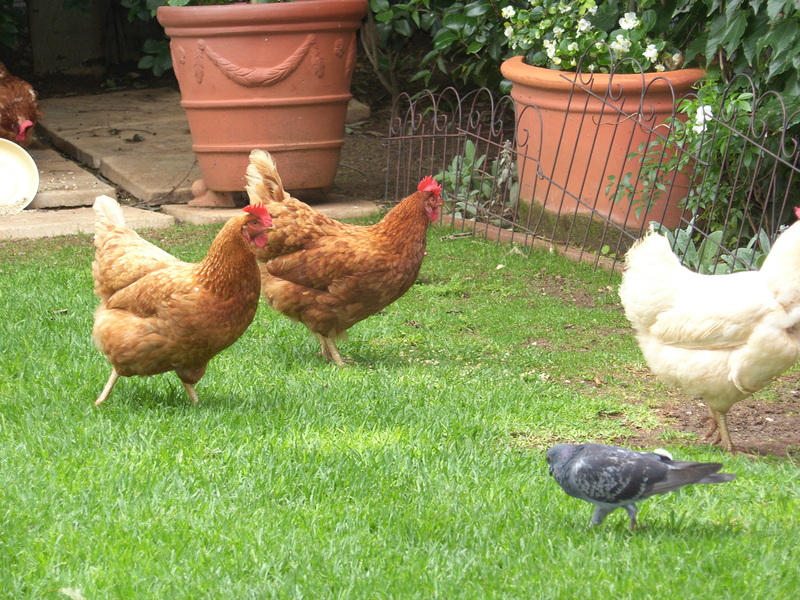 Last week was such a crazy week, fielding the amazing 100 plus e mails we got from the public wanting to assist with the re homing of the abused hens, Lesego and the intense nursing of her nail, and the hens that we took on board, plus our resident hens…..one of our resident hens is Galhinia (rescued last year while being plucked alive – see our blog under chicken diaries for her story). Galhinia is such an amazingly interactive hen, and lives at our family home. 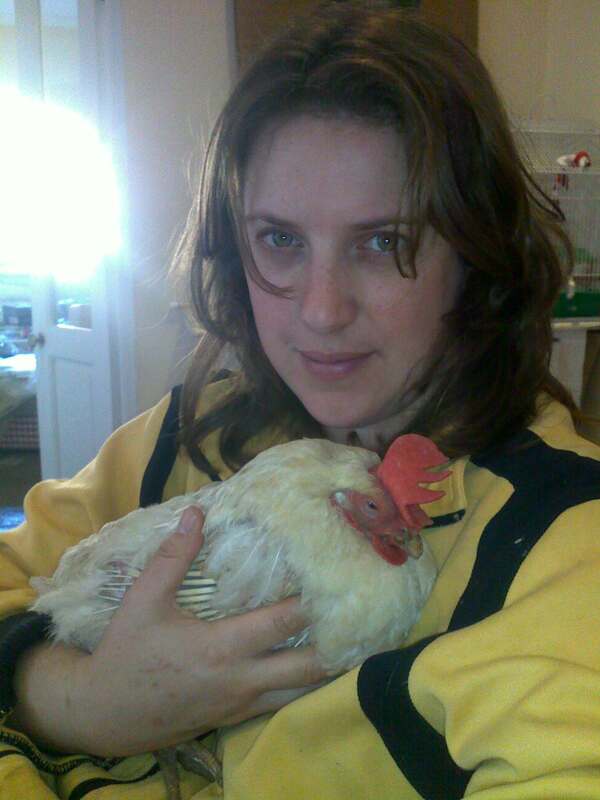 Last Tuesday she woke up to have her cosy world shattered by the arrival of 27 new hens in her garden. She took one look at the crowd outside, and rushed back into the house shouting at us all. I had to give her rescue remedy, and stop the noise by cuddling her. This is how we ate breakfast. This went on for the two days that the hens were with us at our home, until they went out to the sanctuary. Who says chickens don’t have complex emotional worlds? Welcome Lesego to our flock! Last weekend I was on constant alert, impatiently waiting for things to be finalised with NSPCA, so we could go in and take the confiscated hens. We had prepared for the 30 hens we had capacity for, and had homes on standby for another 40, but things were moving slowly. By Sunday night, passing Zandspruit, I scanned the roadside (as I always do) for the usual informal chicken traders. It was late, and I knew they would probably be gone. However, I did see a trader packing up, and stopped to see if any chickens were left. 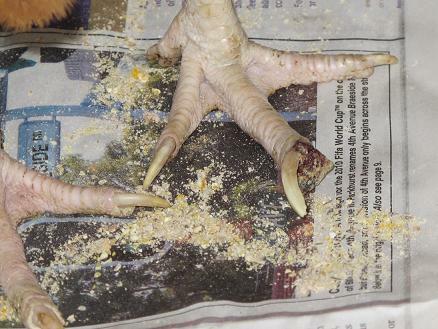 If you are a chicken left on Sunday night at Zandspruit after a weekend of meat trade, you have really had poor luck. Not to have met the final peace of a backyard slaughter sooner, rather than later, so that your grim life continues. There was Lesego (meaning Lucky). Alone in her cage. I examined her closely. Knowing I was about to get 30 other needy chickens I wanted to know what I was in for. She was agitated, frightened, thirsty and hungry. Her one toe nail was hanging from a string and an ugly, open wound decorated the end of her toe. Lesego damaged toe. Surely in a perfect world this injury should require immediate attention? I carefully packed her into the box I had prepared. She made desperate attempts to fight me off, pecking and squirming. I could feel her bones through her skin underneath my hands. She is very thin. As I was about to leave I saw one more chicken sitting in a top cage. I recognised her/ him immediately. This was my beautiful tragic Bello staring down at me. Bello was euthanased a month ago after a long struggle – see old posts, and April Animal Voice for Bellos story. 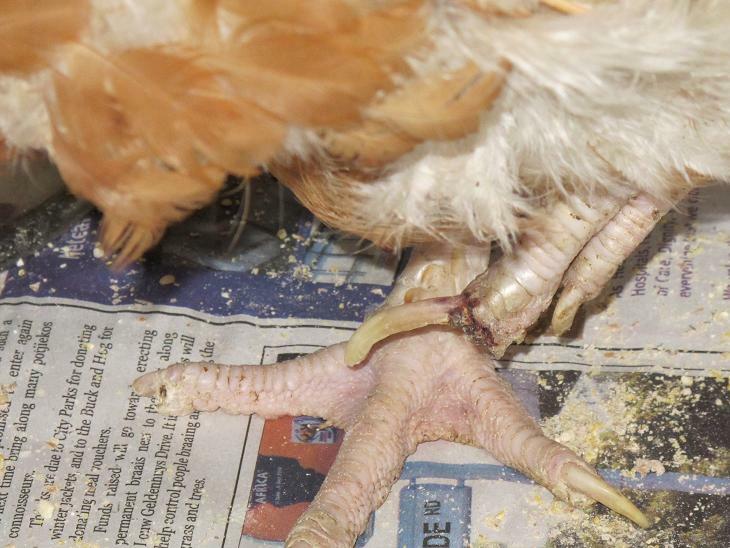 Broilers are genetically modified to grow from 0 to slaughter in 6 weeks. Massively overgrown chicks. 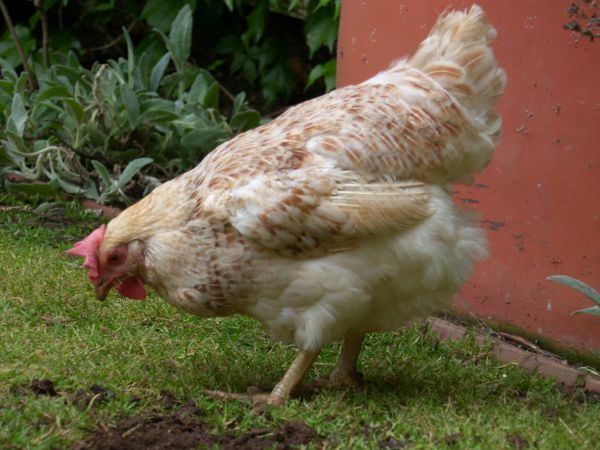 Huge chickens that peep at you and look for shelter under the wings of their mums they have never found. Their massive weight gain and fast growth leaves them massively compromised and in large amounts of pain. I struggled with Bello for 5 months, until he went lame. 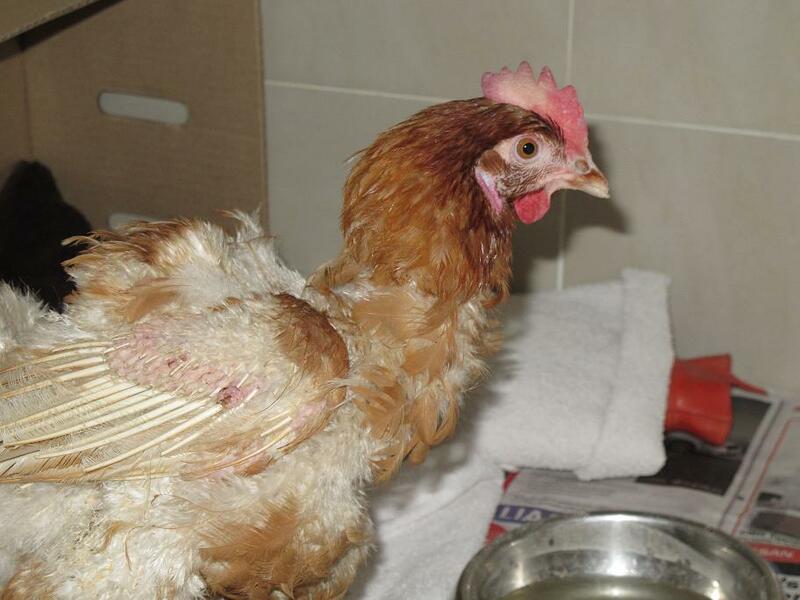 After that I knew that any other broiler I ever picked up would be for euthanasia, not rehabilitation, but that was the least I could do to end her suffering. I pulled the money I had out of my pocket. I had R 40, and Lesego was going to cost me R 35. I tried to negotiate both chickens for R40, but the seller was having non of it. I left behind this bewildered baby in the half-light of dusk in a hostile world. Lesego is doing really well. As always it has been a joy to watch her grow in confidence, to start to heal, and start to enjoy her world around her. She has been heavily medicated for pain and infection. Yesterday, our fabulous vet Jean, managed to cut the nail off, which was hanging by a string. Lesego has lost a nail, that will not grow back, but may have saved a toe. The day before last, we were talking amputation of the toe. Hopefully with more medication and cleaning of the wound twice a day, the end of the toe will close. 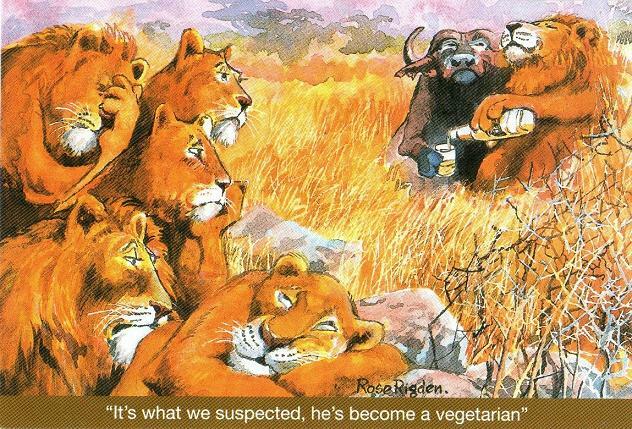 We will be able to see if all good in about a week. Yesterday Lesego started coming to us, when we entered the clinic. She talks constantly when you are with her. She has fallen in love with my father who has been assisting in nursing her, and he in turn, has found a new love late in his life! We are all mad about her already.